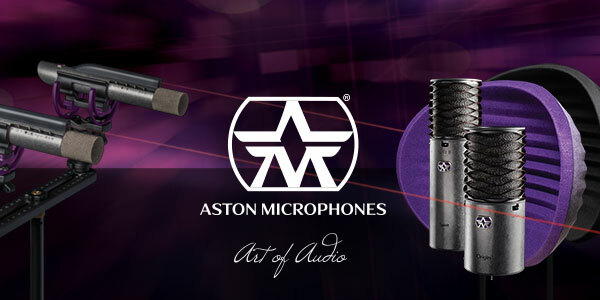 Since the company was founded in just 2015, Aston Microphones have already carved an enviable niche in the home and pro studio world and can truly say that they are the first truly British condenser microphone and accessory brand. Aston Mictophones’ award winning, stunningly beautiful and unique high-performance Origin, Spirit and Starlight condenser mics, have been entirely conceived, designed and manufactured in the UK to the most exacting standards. The Aston Stealth, the latest addition to the range, is the world’s most versatile microphone for studio and stage, with 4 switchable voices delivering unparalleled performance in almost any situation. While the Aston Halo and Halo Shadow reflection filters are a huge leap forward in reflection filter technology. Aston Microphones were determined to prove a big point, that not only can a British brand design some of the best products in the industry, they can build them in the UK too. With spiralling costs in China, and quality consistency issues, the dream for many of re-localising quality manufacturing has now become a reality. Led by UK pro-audio industry stalwarts James Young, Philip Smith, Alan Gavin and Jack Munro, the Aston team have re-invented mic design, taking breathtakingly gorgeous concept pieces and cutting edge engineering techniques, to produce beautifully crafted works of art. Each Aston microphone is individually tested at each key stage during manufacture to ensure reliable and consistent performance and the most musical sound-capture possible, so we’re sure that your new baby will provide you with many years of perfect service. The sound of the microphones have been voiced and tuned following extensive listening tests by a panel of 33 of the biggest names in British music recording and production, with blind AB tests and focus groups at every stage of R&D. Only when an overwhelming consensus put one particular combination of capsule and circuitry way out in front, of both competitor microphones and Aston’s other prototypes, did they approve the final designs. This means that the sound of each of the new microphones has been honed to perfection, not only just by the design team, but by professional studio users themselves. The Aston ORIGIN is a high-performance cardioid condenser microphone utilising a one inch (1”) gold evaporated capsule. It is versatile enough to use with most instruments and excels on acoustic guitar and vocals. Its hand-selected capsule is teamed with high-end transformer-less circuitry using only the finest hi-spec. PCB & components. 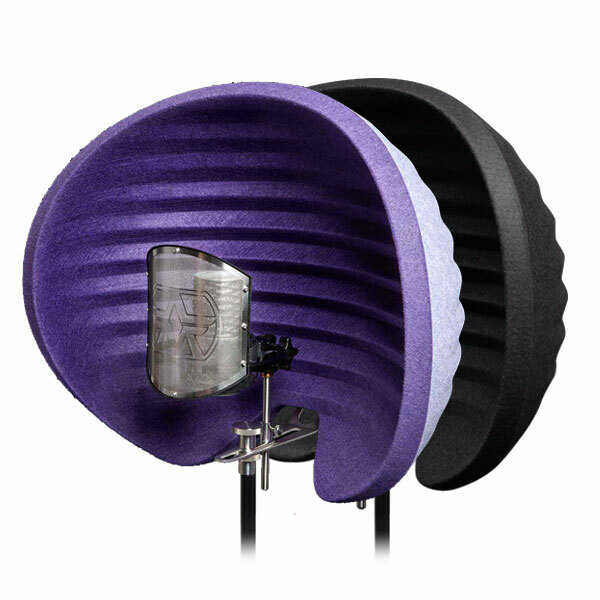 Designed to deliver direct, smooth and intimate sound, Origin is perfect for a natural and transparent recording. The Aston SPIRIT is a high-performance, switchable pattern, microphone utilising a 1” gold evaporated capsule. 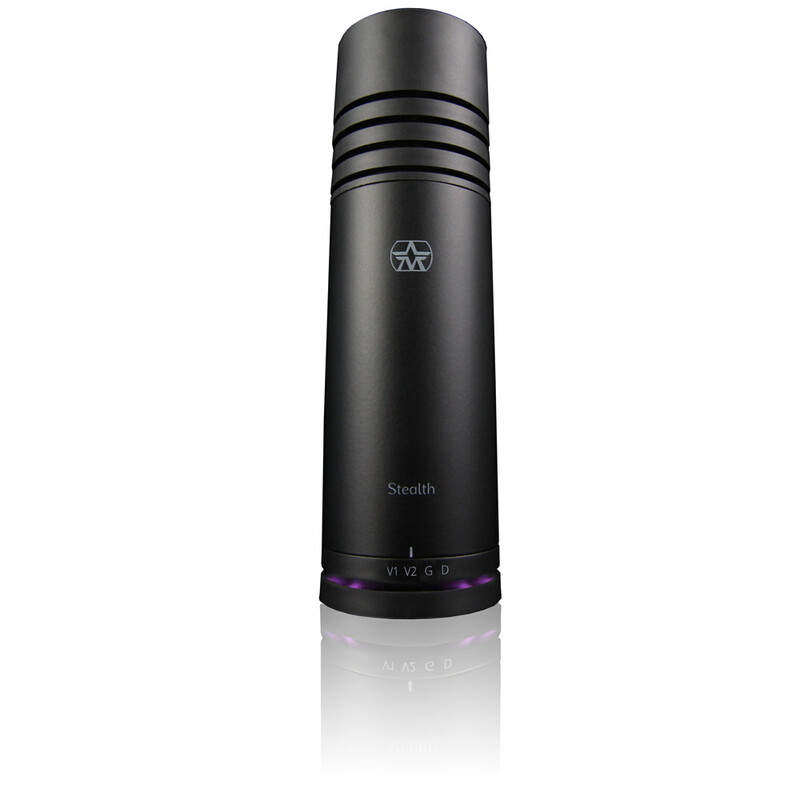 A switch on the mic body selects from Omni, Cardioid or Figure-of-Eight polar patterns. It is versatile enough to use with most instruments and excels on acoustic guitar and vocals. Its hand-selected capsule is teamed with high-end transformer balanced circuitry using only the finest hi-spec. PCB & components. Designed to deliver a beautifully open sound with sparkling harmonics, Spirit is a highly accurate microphone that gives a stunningly natural and transparent recording, capturing all the detail in the high range but without adding the harshness that some condenser microphones seem to. 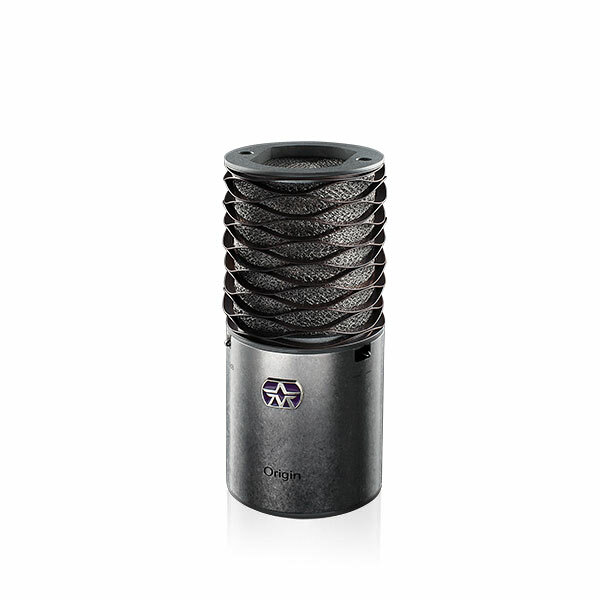 The Aston Stealth is a revolutionary broadcast quality microphone for studio and stage, with 4 switchable voices delivering unparalleled performance in almost any situation. Stealth is the world’s first microphone with an autodetect function which senses 48V phantom power and automatically switches the mic to active mode. A built-in, high quality, Class A Mic Preamp dispenses with the need for an external gain lifting device in active mode. Stealth also features a unique Sorbothane internal shock mount system and Aston’s legendary build quality. With so many cutting-edge features and being suitable for almost every conceivable application, we believe Stealth is the world’s most versatile microphone. 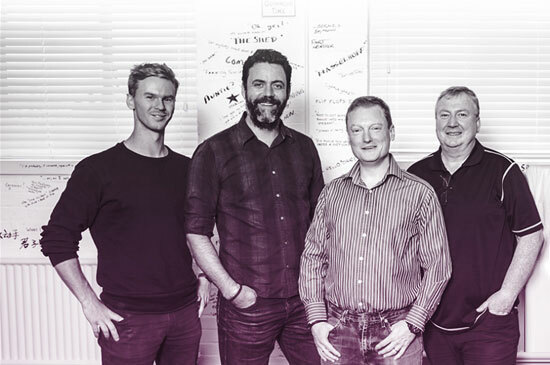 Stealth was developed in partnership with more than 90 top engineers, producers and artists on the Aston 33 development panel who participated in a series of blind listening tests designed to create the best possible sound. The resulting four voice settings, Vocal 1, Vocal 2, Guitar and Dark, offer an unprecedented variety of world class sounds to suit almost every application. The first ever laser targeting pencil microphone, the Aston STARLIGHT allows for recall of mic position in studio use and is incredibly quick and easy set up in live applications. 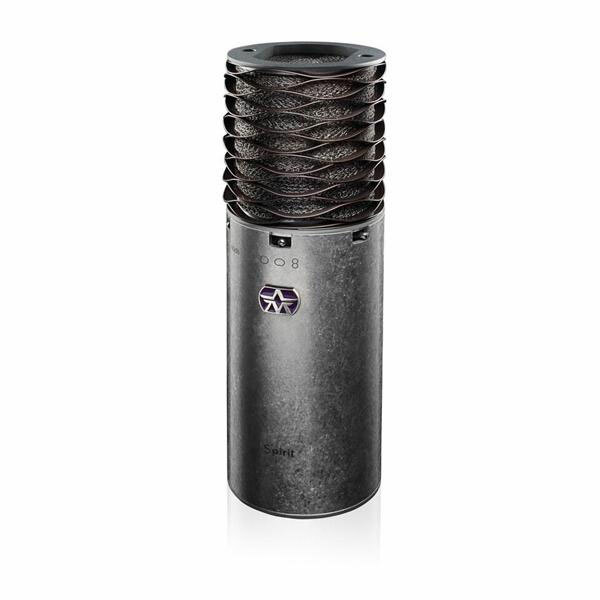 This truly astonishing microphone also showcases Aston Microphones’ unique variable voice switching for sound contouring, nearly indestructible build quality, a signature sintered head and Aston’s, now famous, tumbled 100% stainless steel chassis. The Starlight features a 20mm cardioid capsule hand-picked by a panel of more than 50 top producers in double blind listening tests conducted during 2016. In a market awash with differing versions of an ageing design concept, the award-winning Aston HALO is a huge leap forward in reflection filter technology. Originally available in the distinctive Aston purple colour (that was designed to create a more ‘organic-feeling’ space for the performer to work with), the addition of the Aston Halo Shadow adds an all black finish as an option. Same superb performance, but with a darker look for those who want a more ‘moody’ space to work in. There are several key areas on which Aston focussed on improving currently available technology, most notably for Isolation, absorption, mounting hardware and the general performance as a studio tool for achieving portable room control. Halo is made from a patented PET felt which is one of the most lightweight and efficient, technical acoustic products available on the global market today, making it ideal for use in a reflection filter. An additional side benefit is that the acoustic felt which makes up most of the sound absorption field, is made from 70% recycled PET plastic bottle material, so this highly technical product is also very environmentally friendly. 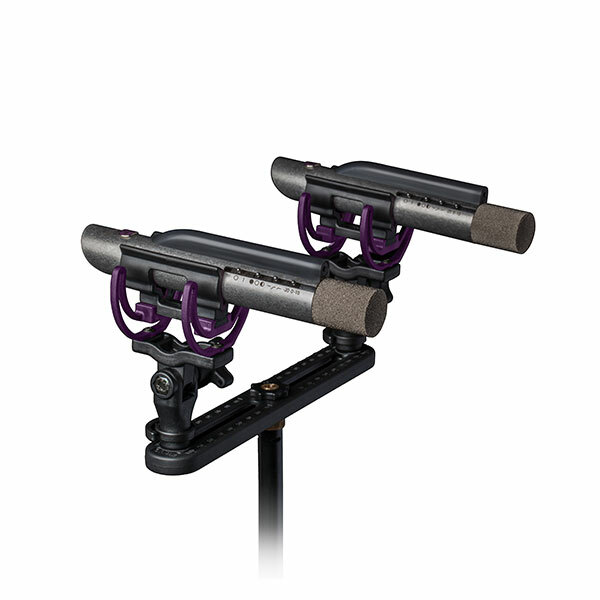 ￼The lightweight material design, coupled with beautifully engineered ‘easy-mount’ hardware, means the Halo Shadow is quick and easy to set up, is stable on mic stands and sounds and looks fantastic. Halo’s unique design is also patented, it’s much bigger, wraps around top and bottom to a maximum rear depth of almost 100mm to improve room isolation and absorption without dominating the room sound. Its textured and wave-formed surface also helps diffuse direct sound. The combination of radically improved performance in almost every area of currently available technology, while paying special attention to both the green credentials of our manufacturing (as with our mic packaging which is 100% recyclable and 84% recycled material), and to the creative element that the artist requires in their performance environment to get the best form every take, makes, in our opinion, the very best possible solution for portable room acoustics available today. Audio Distribution Group is proud to be the Pan-Continental European distributor for this fabulous new microphone brand.